2nd year – Modelling and Dynamical Systems. 3rd year – Mathematical Biology II (spatially extended processes). 3rd year – Methods for Stochastic Systems. 4th year – Advanced Mathematical Biology (now withdrawn). In 2017/2018 I will teach my new course Methods for Stochastic Systems in Semester 1 and continue with Modelling and Dynamical Systems in Semester 2. 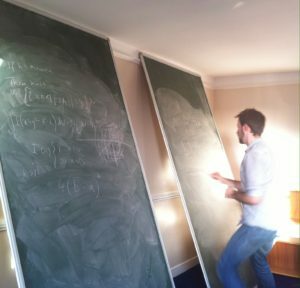 I also act as a tutor for my MOdelling and dynamical systems course. By undertaking the Bath course at the University of Bath I have become a Fellow of the Higher Education academy. I have also become interested in various aspects of Mathematical pedagogy. You can hear my speak about some of the methods and teaching philosophies I employ below. 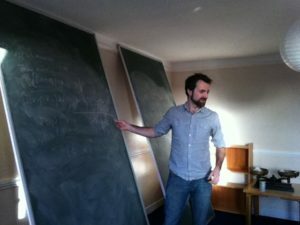 Whilst at Oxford I undertook tutorial teaching for Christ Church and Somerville. I covered courses across the applied spectrum including Perturbation Theory, Calculus of One variable, Calculus of Two or More Variables, Partial Differential Equations in Two Dimensions and Applications, Fourier Series and Partial Differential Equations, Dynamics/Mechanics, Fluid Dynamics and Waves, Classical Mechanics, Calculus of Variations, Multivariable Calculus and Differential Equations.